Description: This is an abstract for the GradeBook Elementary Roster Report, which produces a list of students and reports an Overall Percentage, Mark and Summary of Performance for each student. 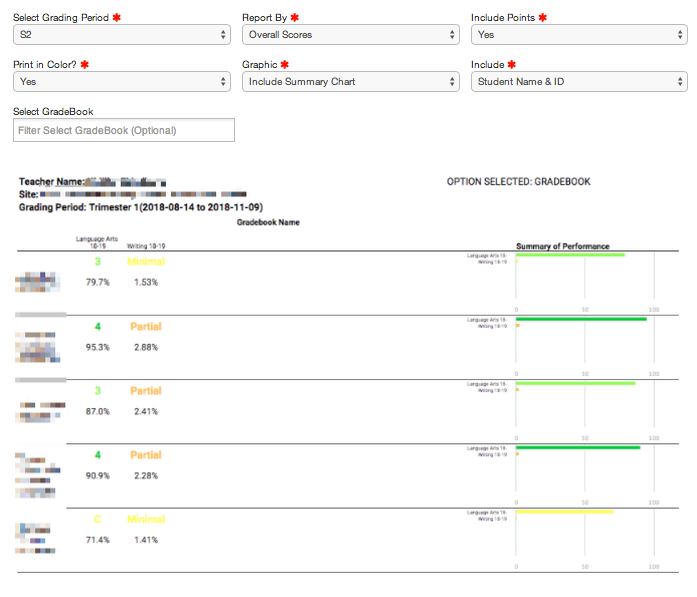 Purpose: To provide a class level list that summarizes each students overall grade by gradebook as well as a graphical summary of performance. Each student’s name, gradebook name, overall grade and/or overall scores for each GradeBook, and a Summary of Performance. A list of students by class roster. Choose to include: Overall scores or by Standard.